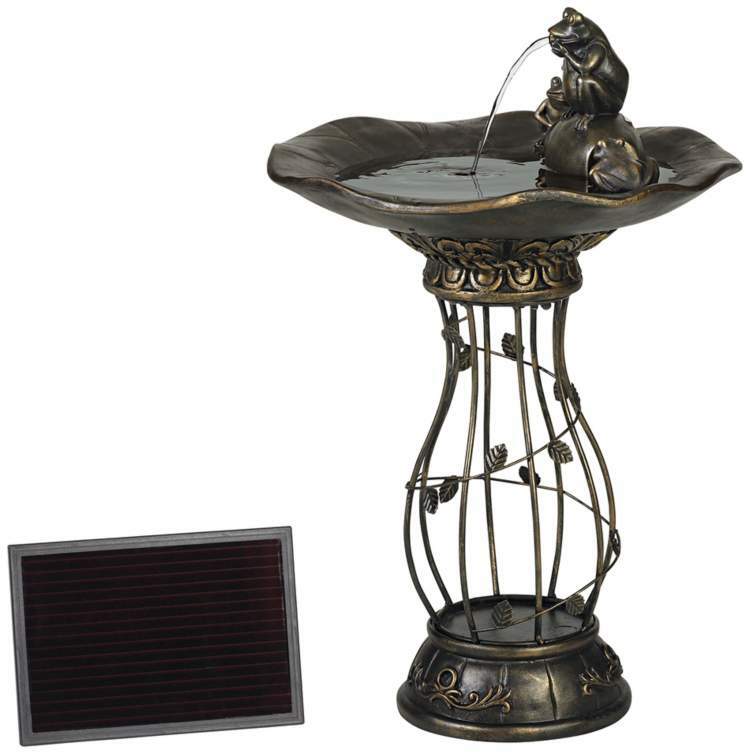 • Frog bird bath fountain. • Solar powered, easy to install. • Lightweight, cast resin construction. 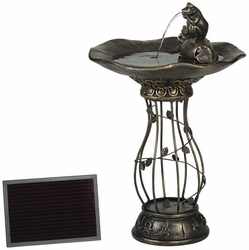 • Solar panel wired to fountain. • No wiring or outlet required. • Comes with fountain pump.